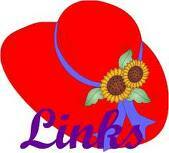 Here you will find links to other websites associated with the Red Hat Society or the Social Butterflies [SB]. Many of these links will open in a new window. If you know of an interesting link we can add, email the RED -EDITOR. Please also visit the section of our site for some more silly and fun things of interest! ... PLUS LINK TO OUR SITE! Right click button above and "Save Picture/Image/Target As"
THAT'S IT! If you have any questions just email . We are happy to list red hat related sites on SB. Just email the SB RED-EDITOR with details. How to Place an Ad on the SB Web-Page? BUY A DISPLAY AD on SB. Getting started is simple ... just keep reading! --- Its easy and inexpensive to do! --- Need more exposure to Red Hat Ladies! ---Post on SB web page to get more customers! SUCCESS DEPENDS ON RECOGNITION. If people do not know about your business or event they cannot shop your store or attend your happening. When you purchase a DISPLAY AD you are building your name and expanding your potential customer base. In today's world the internet plays a major role in daily life -- AND advertising. A display ad on the internet can reach hundreds, thousands -- even millions -- of people every minute. You can't get that kind of exposure using old sales methods. Quite simply, the internet offers more *BANG* for your advertising buck. Getting seen on Social Butterflies is easy! For a small fee your DISPLAY AD will be posted here on our web pages. TELL US WHAT YOU WANT TO SAY -- WE'LL EVEN BUILD THE AD FOR YOU! Ads vary in size and price. Hyperlinking ads to your own website or email address is not a problem! Small graphics or logos are optional. Payment accepted via check, money order, credit card, all paid through PayPal. Sample ad sizes and prices click on link below. All Red Hat groups are listed for FREE! !